Many families in our community have children or loved ones with developmental disabilities or special needs. Families often assume that they can continue to care for their loved ones in perpetuity. The reality is that once a child turns 18 years old, that child becomes an adult. Often, parents will continue to be their child’s voice at the doctor’s office, when discussing insurance or medical benefits, and in legal and financial affairs; however, a parent or family member no longer has the legal authority to act on behalf of a person who is an adult, regardless of disability or impairment. Unfortunately, it is generally an emergency or difficult situation when a parent tries to act on behalf of their child and they are met with, “I am sorry, but I can not discuss this with you.” Many of my clients care for their children for years and then suddenly a new doctor will not speak to them, or an insurance agent will not discuss a policy with them, until they become the court appointed guardian. For most, it is stressful and confusing. When faced with this predicament, or for those who are planners, it is necessary to contact an attorney and petition the court to become a court appointed guardian advocate. A guardian advocacy is specifically for people with developmental disabilities and is distinguishable from a power of attorney or general guardianship. Although clients may feel overwhelmed by the process, it is actually quite seamless in Hillsborough County. After gathering the necessary information and submitting the required documents to the court, a hearing will be scheduled within about a month. If everything is in order, the hearing is generally very brief and informal. Once appointed guardian advocate by a judge, the client will be issued a document called “letters of guardianship”, which is not actually a “letter” but a court order signed by a judge. This document allows the guardian advocate to stand in the shoes of his or her loved one with a developmental disability. Thereafter, the guardian advocate will have to complete an eight-hour training class and prepare an annual plan for the disabled person’s care each year. For families with loved ones who have developmental disabilities, they must also ensure that their estate planning is unique to their needs. A person with a developmental disability or special needs will most likely be the recipient of government benefits at some point during his or her lifetime. Many government benefits have strict income and asset limits. Receiving an inheritance may disrupt those benefits. Families may disinherit their child to avoid this outcome because of the importance of consistent care and treatment. If benefits are interrupted, there may ultimately be a disruption in care, which is too great a risk. Establishing a special needs trust, also called a supplemental needs trust, is a better alternative to disinheriting a child or trusting that your child’s sibling will “share” the inheritance. This specific type of trust allows a person receiving benefits to receive an inheritance, (in trust), to supplement the cost of his care. A properly drafted, and administered, special needs trust allows the beneficiary to both maintain benefits and to also enjoy the benefit of an inheritance. A special needs trust must comply with several provisions in the law to be treated as a trust that will not interfere with benefits. Additionally, it must be administered properly, which means that the trustee is restricted in how money is distributed, or how items are purchased, for the beneficiary. Even if the trust agreement is perfectly drafted, improper distribution can result in a loss of benefits for the beneficiary. Therefore, it is very important to consider whether a professional or corporate trustee may be best named in this role. Otherwise, the planning for a special needs trust is similar to general estate planning. The beneficiary is the special needs person and thought must be given to an alternate beneficiary(s) in the event of the death of the special needs beneficiary. The best thing to understand is that disinheriting a loved one who receives need-based benefits is not the only option. 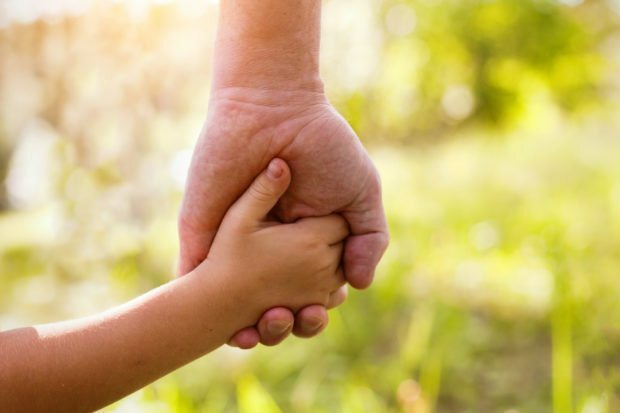 A competent estate planning attorney, or an attorney who specializes in this area of law, should be able to create a plan that will include a special needs beneficiary. If you or a loved one are in need of any of the estate planning or special needs documents mentioned above please call our offices at (813) 676-9082 or email ElaineM@whhlaw.com. You can also find this article in the February edition of Tampa Bay Parenting Magazine.